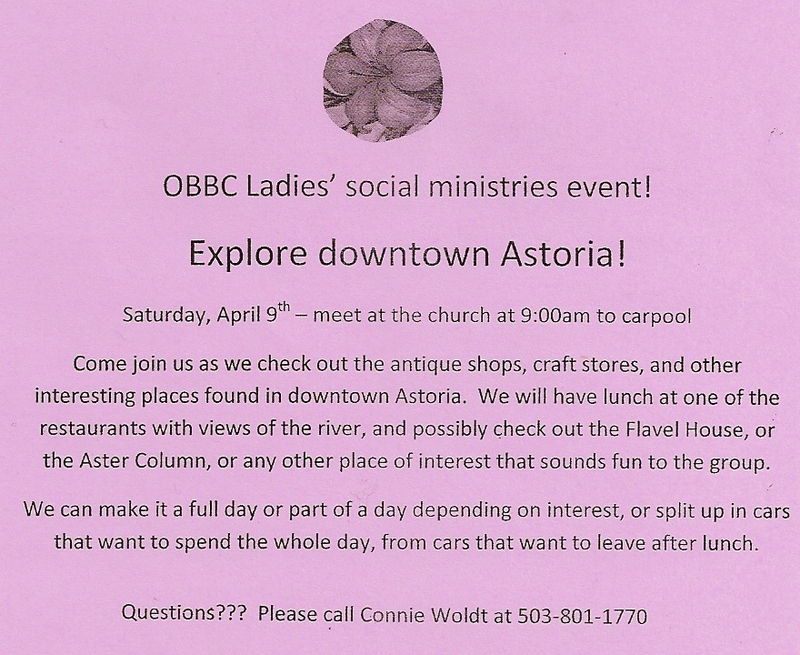 We're going to Astoria on Saturday, April 9th for a fun day of fellowship, shopping and lunch. 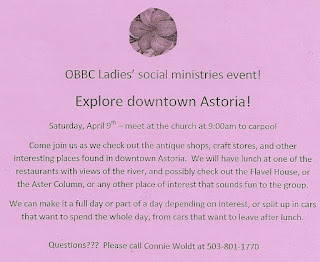 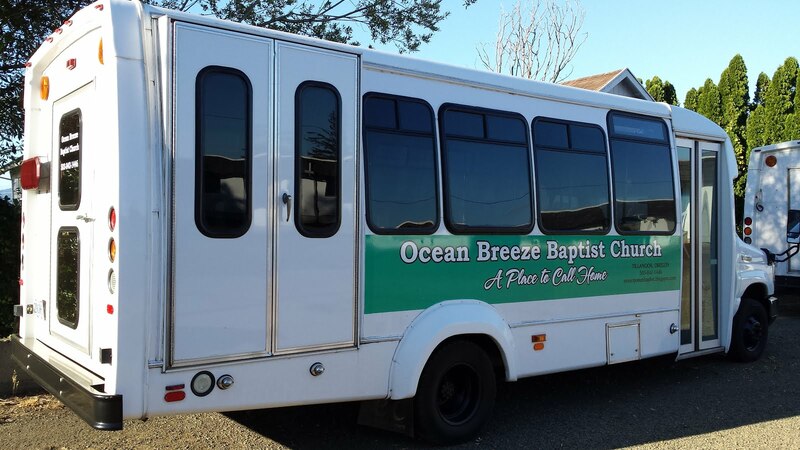 Meet at OBBC by 9 AM and we'll carpool. 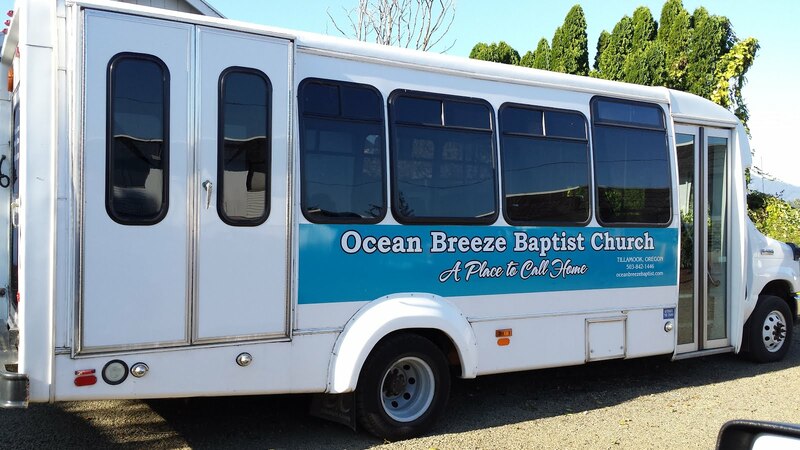 Call Connie Woldt @ 503-801-1770 if you have questions.